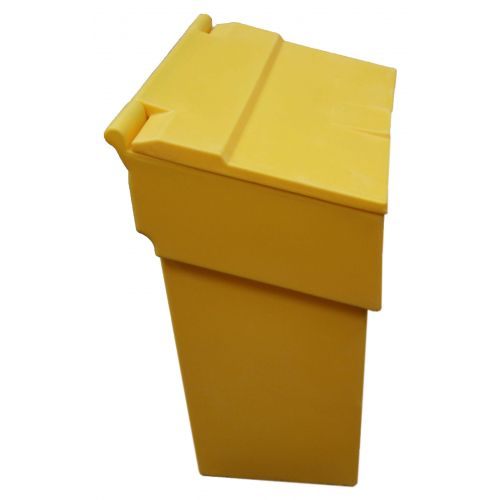 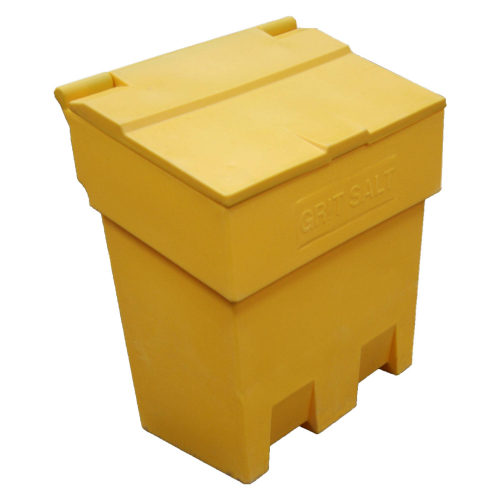 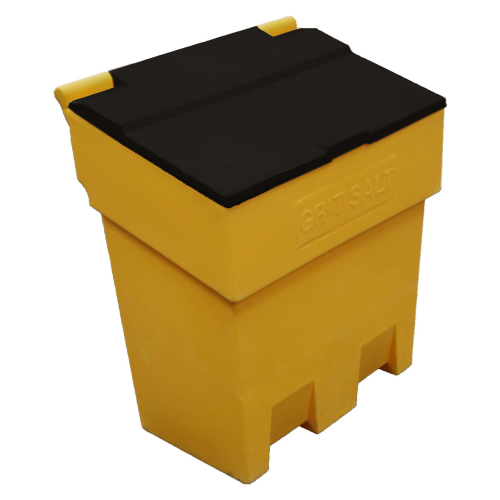 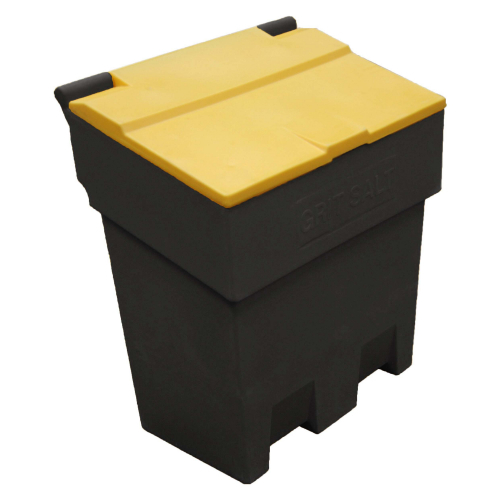 It is available in four colour options: black, yellow, yellow base and black lid, black base with yellow lid. 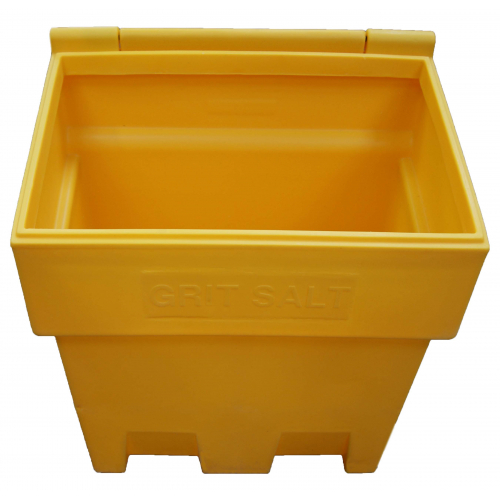 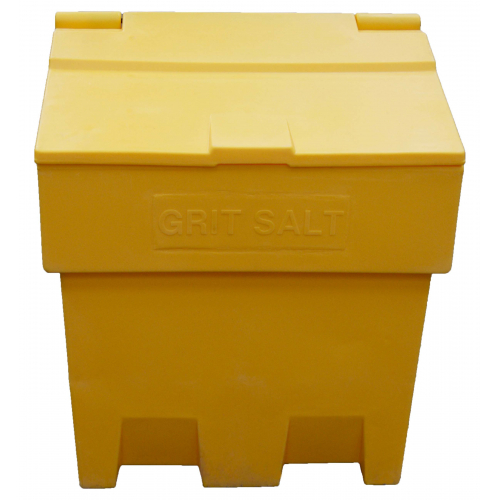 An optional hasp and staple is available to offer extra security to your grit / salt. 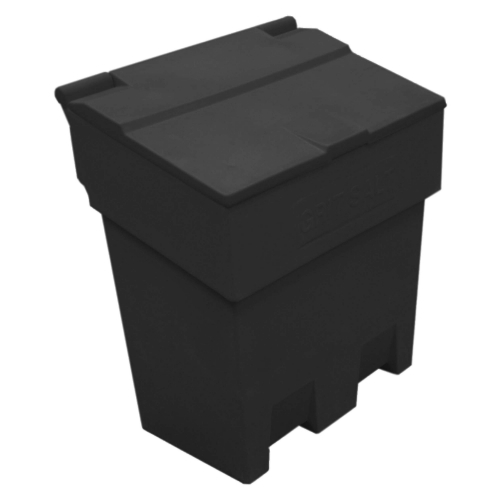 Please note: a padlock is not included.